Monday through Friday 7 a.m. - 5 p.m.
Dr. Champion received his medical education at the University of Iowa, completed his residency at the University of Iowa Hospitals and Clinics, and is certified by the American Board of Internal Medicine. He joined Towncrest in 1970. Dr. Connolly received her medical education at Georgetown University, completed her residency at St. Vincent Hospital and Medical Center, and is certified by the American Board of Internal Medicine. She joined Towncrest in 2013. Dr. Eberly received his medical education at the University of Washington, completed his residency at the University of Iowa Hospitals and Clinics, and is certified by the American Board of Internal Medicine. He joined Towncrest in 2005. Dr. Kelley received his medical education at the University of Iowa, completed his residency at the University of Iowa Hospitals and Clinics, and is certified by the American Board of Internal Medicine. He joined Towncrest in 1979. Dr. Kelley's hobbies include golfing. Dr. Larew received his medical education at the University of Iowa, completed his residency at the Medical College of Wisconsin, and is certified by the American Board of Internal Medicine. He joined Towncrest in 1990. Dr. Mancuso received his medical education from Creighton University, 2014, completed his residency at University of Iowa Hospitals & Clinics, and is certified by the American Board of Internal Medicine. He joined Towncrest in 2018. Dr. Mancuso is known for his approachability, knowledge and way of caring for his patients. Outside of work Dr. Mancuso enjoys basketball, scuba diving, free diving and cooking. He has also volunteered on mission trips to Romania and worked at Slenna Francis House, a free medical clinic for the homeless in Omaha. Dr. Moonjely received his medical education at Trichur Medical College, completed his residency at Michigan State University and Winthrop University Hospital, and is certified by the American Board of Internal Medicine. He joined Towncrest in 2011. Dr. Ovrom received his medical education at the University of Iowa, completed his residency at St. Vincent's Hospital, and is certified by the American Board of Internal Medicine. He joined Towncrest in 1990. 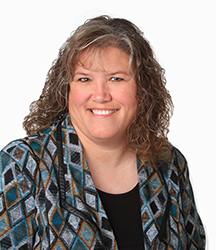 Tara is a graduate of Mount Mercy University and Allen College and is certified as an adult gerontology acute care nurse practitioner and family nurse practitioner. She joined Towncrest in 2018. 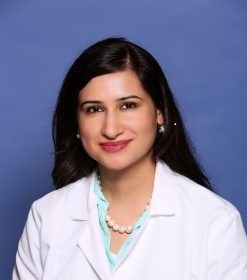 Dr. Rank received her medical education at Michigan State University, completed her residency at Detroit Wayne County Health Authority, and is certified by the American Board of Osteopathic Board of Internal Medicine. She will join Towncrest on May 6, 2019.